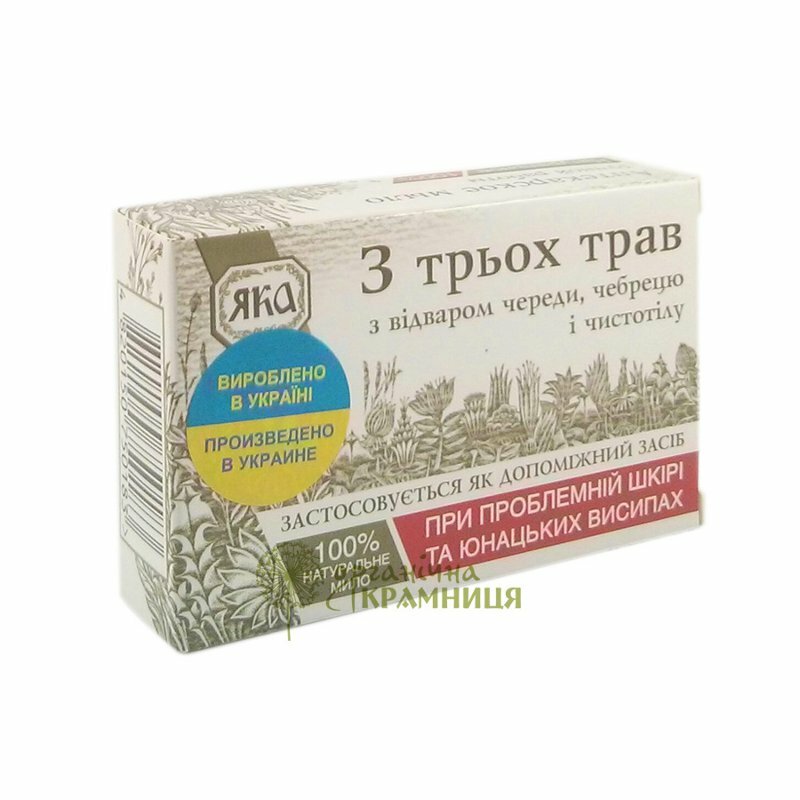 Three Herbs Soap is produced by the Ukrainian beauty brand YAKA for its pharmaceutical series. It is a natural soap formulated with decoctions of bidens (three-part beggarticks), greater celandine and thymus. It is specifically designed for problem and juvenile skin. The soap is additionally enriched with sandalwood, wormwood, geranium, rosemary and ylang-ylang essential oils. The soap’s main active ingredient is decoction of three-part beggarticks, thymus and greater celandine. For centuries, it has been used as an effective antiseptic. It helps to treat eczema, allergic rashes, juvenile acne and other minor skin conditions. Three Herbs Soap is formulated with a combination of valuable natural vegetable oils such as olive oil and avocado oil. Thanks to them the soap effectively moisturises and nourishes skin, improves its elasticity. Three Herbs natural hard soap is free of animal fat, synthetic colourants and preservatives, E-numbers. Not tested on animals. Environmentally friendly. Directions. Used just like regular soap. Contraindications: individual intolerance of or increased sensitivity to any of the components. Ingredients. Coconut oil, palm oil, olive oil, rapeseed oil, castor oil, avocado oil, soy bean oil, thyme herb and decoction, greater celandine herb and decoction, bidens herb and decoction, alkaline solution, composition of essential oils. Want to buy Three Herbs Soap? Call us or submit your order via our web site!